I'm going to admit that it was probably my fault for going into this book expecting the typical Kylie Brant romantic suspense, and not getting what I expected. This is definitely not what I'm used to with Kylie Brant, but since she'd primarily been a romance author, I hadn't thought twice about purchasing and reading Pretty Girls Dancing. But as the book began, switching from one character's perspective to another, and introducing very un-romance novel-like characters, I started getting a little... well, I guess wary might be a good way to put it. So I went to check the Goodreads book page, and realized that this book was never advertised as a romantic suspense--that was just my own wishful thinking. On that note, after readjusting my own reading perspective, I found myself delving deeper into the book and becoming curious as to how everything would come together in the end. In a way, the writing was still very Kylie Brant, even if the characters weren't. It's not that I'm unaccustomed to reading books with a lot of flawed characters, all flawed to the point that I just cannot relate to any of them--I just prefer not to read those books. 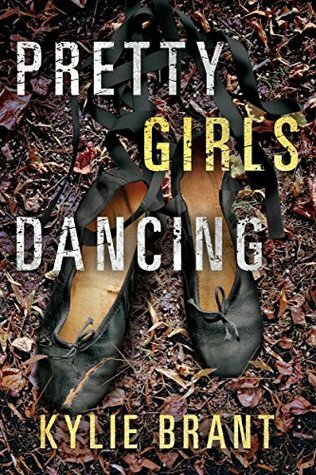 And Pretty Girls Dancing is your typical crime thriller, based on a serial murder, but that ends up being more about digging up all the dark secrets among all the people affected. These characters are all so flawed and so unlikable that I had a hard time trying to figure out how I felt about them. Of course, that effectively made me focus more on the serial murder investigation, which had started to become more intriguing as new leads turned up, and even when the young teenage Janie Willard decided to try her hand at amateur detecting. And then I found myself wanting more of Janie Willard--a young girl who has lost her elder sister, who has a social anxiety that makes it hard for her to interact with people, but who is trying her best to move forward while taking care of her equally shattered parents during the past seven years that her sister was taken. I found myself wanting a Janie Willard story where she finds her niche in investigation. I liked her the most of all the characters in this book, because to be honest, she was probably the most honest and good character. Kylie Brant wrote a great crime thriller, I will admit that. And even the lack of my own favored romance to go with it, the book was entertaining to a point. My biggest quibble about this book, is surprisingly not about the characters. I feel like the characters were pretty real, even if I couldn't find myself relating with them. My biggest quibble is actually about the resolution and ending and how abruptly the case gets solved with a simple light bulb moment by our BCI agent. And the truth is, it seemed kind of left field and I'm not entirely sure how we got to that point. It makes sense, when we get there. I just don't know HOW we came up with the conclusion. Another small quibble would be the amount of story you get, and the number of secrets revealed... but that very few of them had to do with the main conflict--they just happened to be dark secrets (which truthfully weren't that dark, really) dug up during investigation. It kind of leaves the book a slight bit unsatisfying, truth be told.